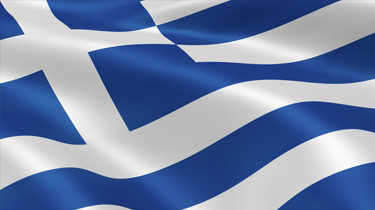 Link Global Management can provide a full range of payroll services in Greece. The individual will be engaged on our payroll and income is paid in the form of salary, allowances and expenses, the proportion of each part depending on individual circumstances. Link Global Management will discuss your personal circumstances with you and help you to minimise your tax and social security liabilities, within the boundaries of Greek legislation. Income is managed tax efficiently, not just in Greece but also in any other country where there may be a liability. A tax return is filed each year in Greece with advice and assistance from Link Global Management who will also provide help with filing tax returns elsewhere, if required. Non-tax residents of Greece who earn income from Greek sources must provide a tax residence certificate from a recognized foreign authority to the Greek tax authorities to validate their nonresident status in Greece. Failure to do so results in such individuals being considered Greek tax residents. Accordingly, they must make a worldwide income declaration in Greece. Progressive tax exists in Greece at either 10% or 33%. Individual taxpayers must collect receipts and invoices for goods and services purchased in Greece for an amount equal to 25% of their declared income. The amount of receipts required is capped at €10,500. In the event that the taxpayer fails to obtain the receipts and invoices for the required services, the shortfall is taxed at a rate of 22%. Receipts for goods and services purchased in EU countries are also accepted for this purpose.